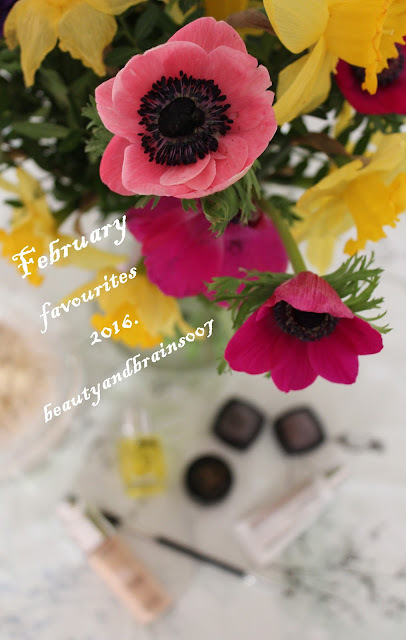 beautyandbrains007: My February 2016. Favourites! Since beauty care products are in minority...well, there is only one, I will start with it. I found a new love in Olival's Immortelle Golden Face Oil. 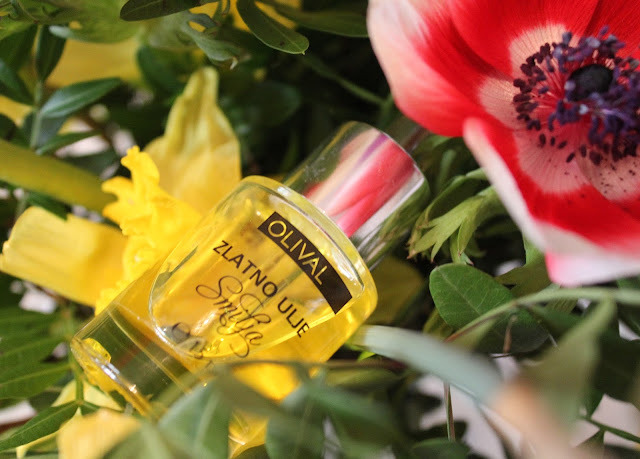 Apart from its main active ingredient - Immortelle essential oil, this oil contains seven natural oils (jojoba, argan, marigold, olive, almond, rose and apricot seed oil) and promises to deeply moisturize and nourish the skin. It is recommended for normal, dry and/or sensitive skin types, but in my opinion, every skin will love it. 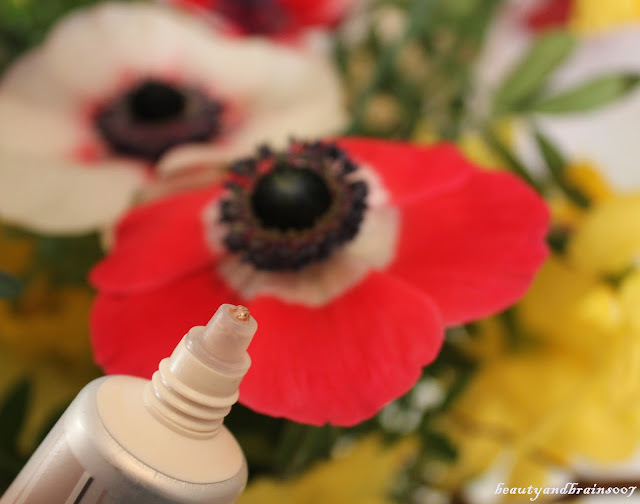 I have combination skin with oily t-zone and sometimes dry top layer and love it! I also have to say a few words about the brand. 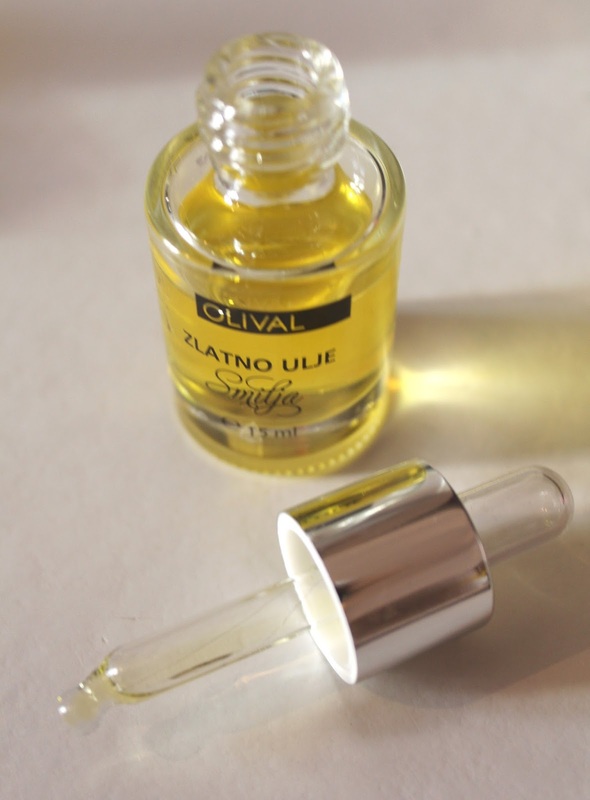 Olival is a Croatian natural cosmetics brand which I highly recommend to try if you get a chance. It is available in all the major drugstores in Croatia (DM, Kozmo, BIPA..), so if you come and visit our country definitely try something from their range. This oil would be a good start but I would also recommend their immortelle toner. I am not connected with this company in any way, only enjoy their products, their idea to create natural products and the fact that they don't test their products on animals. And then there is makeup... I am starting from the base - foundation. I tried many foundations in my life and am always in a search for someting new and improved. I mainly use liquid foundations in my everyday routine and since I like to experiment I tested many foundations from different brands, both drugstore and high-end. But this one really is a gem. 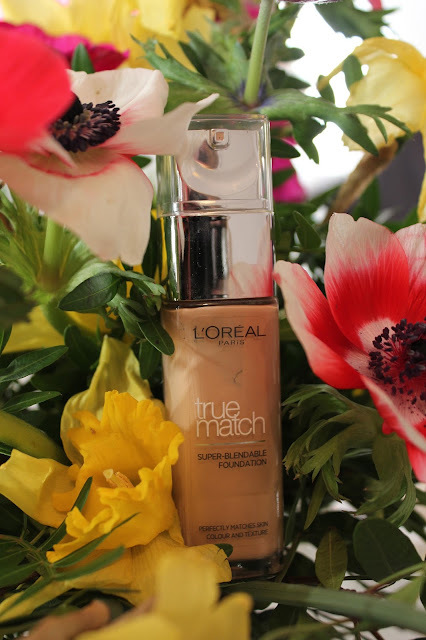 L'oreal True Match liquid foundation is great for my oily parts, it doesn't get shiny early in the day, it doesn't oxidize on me, provides medium coverage, which means it covers nicely but doesn't look fake, it is longlasting, I found a great shade and will most definitely buy it again! My next favourite also helps your skin and complexion to look their best! With my oily t-zone, I always hesitated to apply highlighters. There was enough shine on my face already. 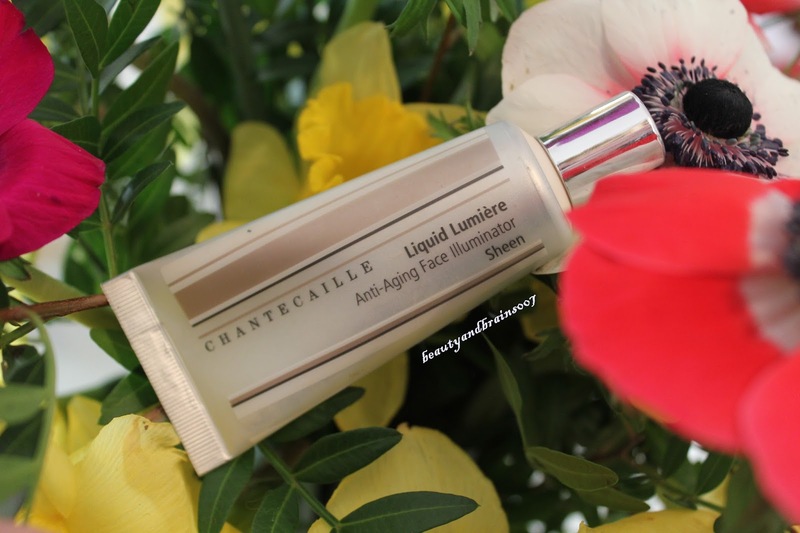 But then the whole highlighter era started and I received Chantecaille's Liquid Lumiere Anti-Aging Face Illuminator in the shade Sheen in my Net-a-Porter Holiday Kit. At first I put it aside but then I decided to be brave and put it on my face. Honestly, it looks beautiful, doesn't make my face too shiny, it adds healthy glow and I love it! Complexion is very important to look "flawless" but the part of my face that also gets a lot of loving are my eyes. If I wear makeup I must put on at least a little bit of mascara. 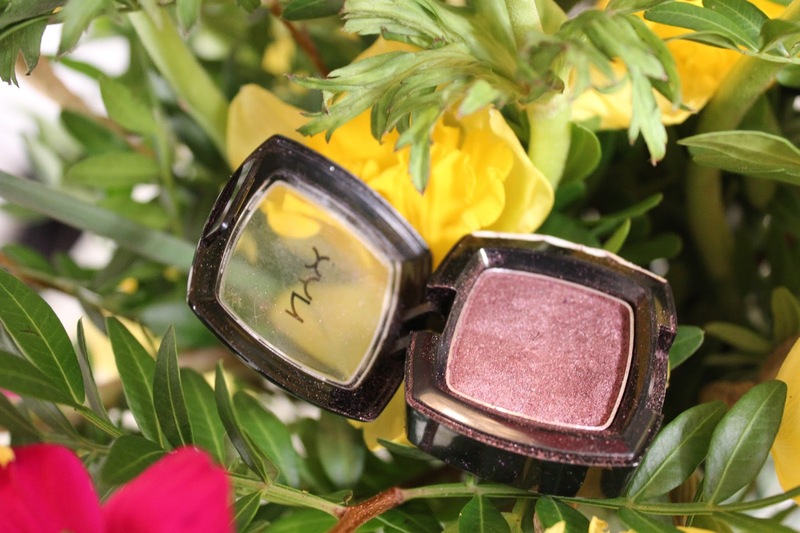 Last month I played again with my Nyx shadows. 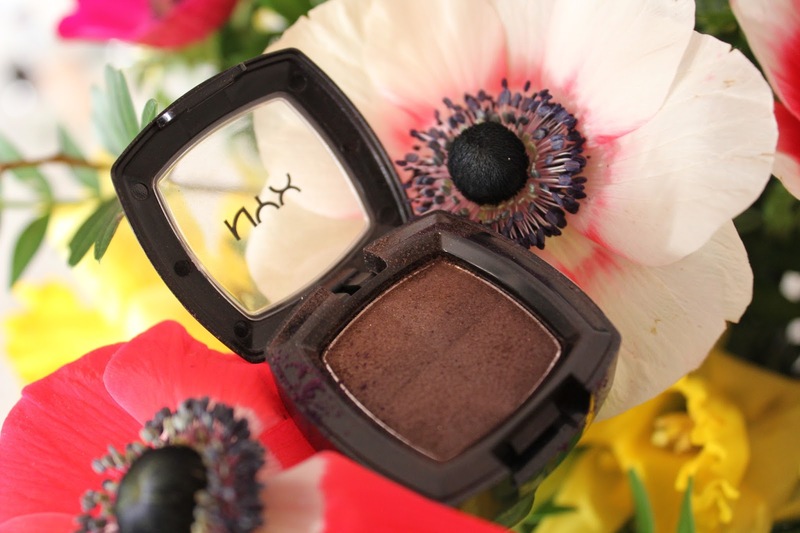 I wrote about these here but I forgot how good these shadows are. I used Root Beer and Red Bean Pie by themselves and with my Chanel Diapason shadow. 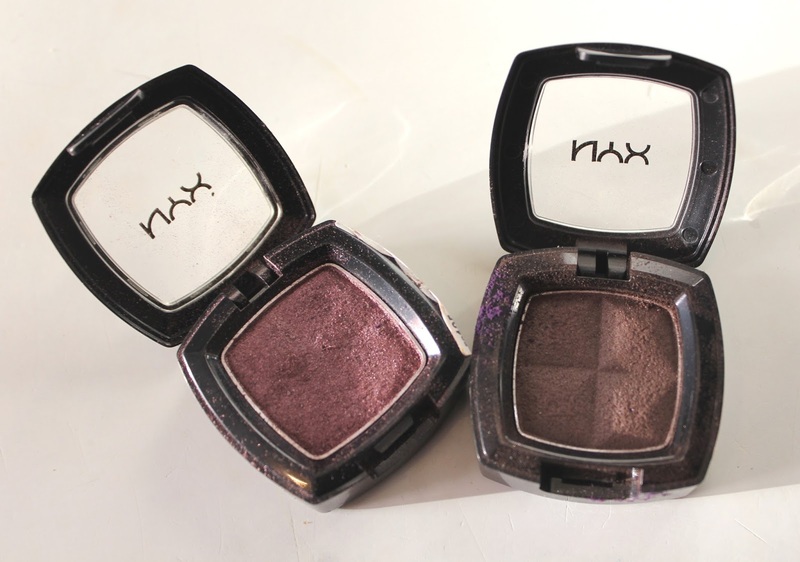 They looked amazing either way and if you haven't, you really should try Nyx shadows. Eyes are the mirror of our souls but brows are certainly the frame for it and that is why I always pay attention to them. In my January Favourites (here) I already mentioned my love to Anastasia Beverly Hills products. I swear by their Brow Wiz in taupe so I decided to try out other products from their range and that is how these two ended up in my bathroom. 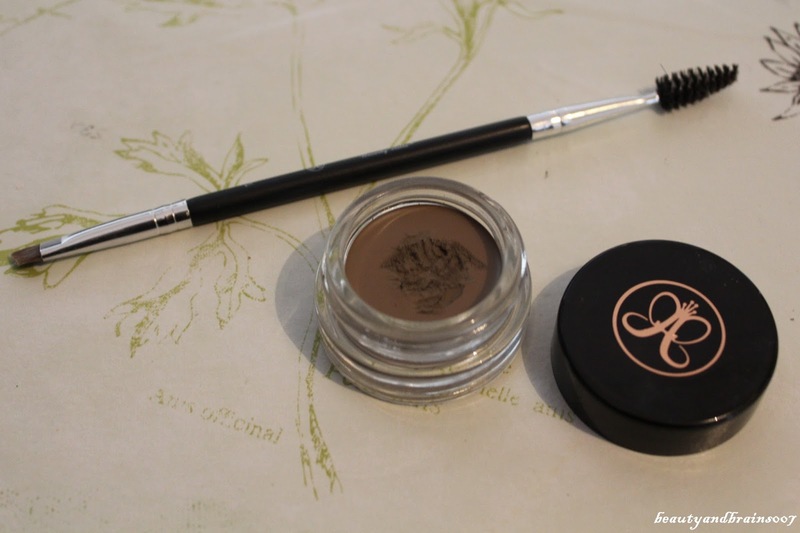 I bought Dipbrow Pomade in the shade Taupe and a dual ended brow brush to apply it with. The brush is very precise and perfect for defining the brows and its spooley is very soft but efficient. I highly recommend it! Usually, I am not crazy about dual ended brushes because they aren't always convenient for storing, but this duo actually is really handy. 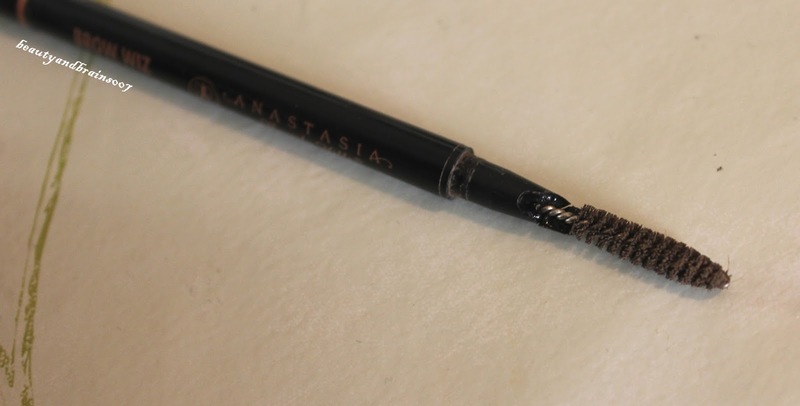 I already told you that ABH Brow Wiz is my all time favourite brow product and I've gone through many of them. But...this month, for the first time, my Wiz broke on the spooley side. That never happened to me before and I wasn't rough with it at all but I needed to mention that. Have any of you experienced something similar? So... We came to the end of my lasth month's favourites. What do you say? Do you like some of them as well or completely the opposite?